The Islamic State will lose Mosul in the coming days, the Pentagon confirmed. 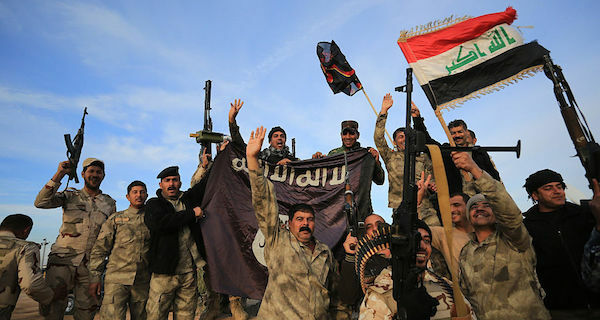 This victory, Iraqi government claims, means the end of ISIS. 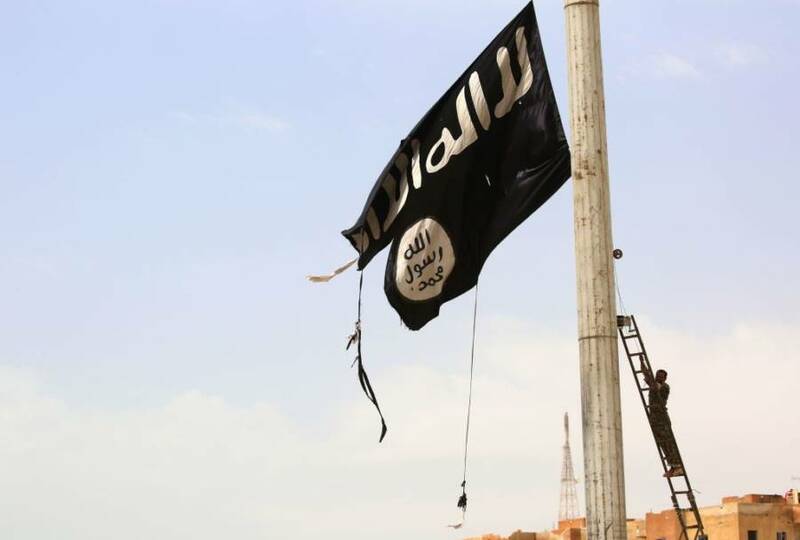 DELIL SOULEIMAN/AFP/Getty ImagesA member of the US-backed Syrian Democratic Forces (SDF), made up of an alliance of Arab and Kurdish fighters, removes an Islamic State group flag in the town of Tabqa, about 55 kilometres (35 miles) west of Raqa city, on April 30, 2017, as they advance in their battle for the group’s de facto capital. In 2014, Islamic State leader Abu Bakr al-Baghdadi (who Russia claims to have killed in airstrikes on Syria last month) stood in the Great Mosque of al-Nuri and stamped it as territory of the ISIS caliphate. Now, that mosque is destroyed, the city of Mosul surrounding it lays in rubble, and the Iraqi government has declared victory over the terrorist group. Though as many as 2,500 ISIS fighters remain in the city, after eight months of intense fighting, the Pentagon has confirmed that the city’s liberation is only days away. Over 742,000 people have managed to escape Mosul, abandoning formerly-beautiful villas and treasured possessions. But 100,000 civilians — who lack access to food and water — remain in the destroyed city, where they are used as human shields. For that reason, it’s important to note that regaining Mosul wouldn’t mean “an automatic end to the suffering,” as International Rescue Committee Iraq director Wendy Taeuber told CNN. As Taeuber concedes, it will take an untold amount of time and money to rebuild what residents have lost. But Mosul isn’t the only territory the brutal caliphate is losing. Their leaders are also reported to have fled Raqqa, the main ISIS stronghold in Syria. Anywhere from “a couple hundred” to 4,000 Islamic State fighters remain in their self-proclaimed capital, but the head honchos of the operation have reportedly fled to hide out in other shrinking sanctuaries around Syria and Iraq. 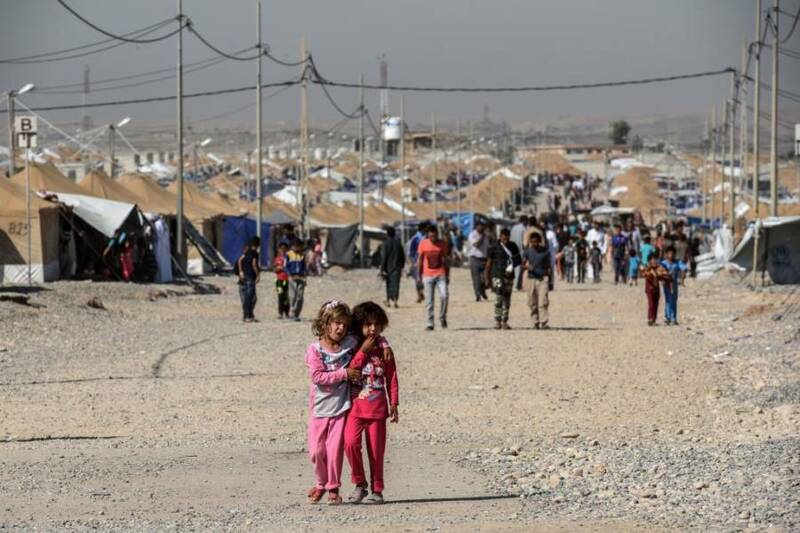 Among those people now staying in tents on the outskirts of town are the wives and children of Islamic State fighters — some of whom show little if any remorse for the movement of which they were formerly a part. MOHAMED EL-SHAHED/AFP/Getty ImagesDisplaced Iraqi children who fled the fighting in Mosul walk at the Salamya camp for internally displaced people, south of the embattled city in the Nimrud area, on June 25, 2017, on the first day of Eid al-Fitr holidays which mark the end of the holy fasting month of Ramadan. ISIS fighters likely won’t have the cash for too many more virgins in the months to come. As they lose more and more ground to coalition forces, the caliphate has seen its income drop by 80 percent in the last two years, according to an IHS Markit study of their finances. That’s a dip from $81 million in monthly income in 2016, to just $16 million this year. Their flow of volunteers has also slowed significantly to only about 100 a month. So yes, things are looking up. But in such a long and complicated war, where to go from here remains uncertain and presents its own set of dangers. The departure of IS leaders might signal cowardice to some, but to others it suggests that they’ll attempt to preserve their shattered “state” even after these cities are taken. Next, learn why Iran is blaming the US for creating ISIS. Then, read about the wild boars that killed ISIS militants just before they could ambush resistance fighters.